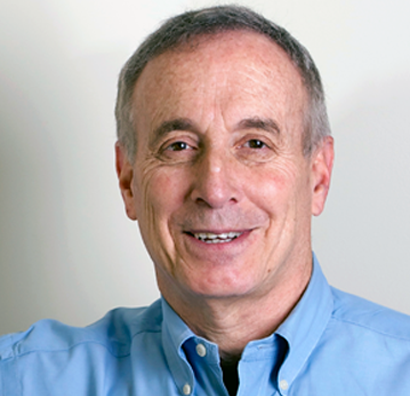 Hello, I'm Laurence Kotlikoff, a professor of economics at Boston University. My software company, Economic Security Planning, Inc., develops and markets personal financial planning software. We've been in business since 1993 and have introduced unique and widely acclaimed lifetime-planning and Social Security-maximization tools that can safely raise and maintain your household's living standard through time. We market these tools at www.esplanner.com and www.maximizemysocialsecurity.com. Analyze My Divorce Settlement is our latest software program. It's a highly powerful, fast, effective, and objective means to help you reach a fair divorce settlement taking into account all relevant financial factors, including all tax and Social Security issues. Its goal is to help divorcing couples resolve their financial questions and differences objectively and, thereby, limit settlement disputes that can entail large legal fees. The program lets you compare the ongoing discretionary spending that each spouse will be able to afford under any divorce settlement you specify. Discretionary spending is the spending each spouse will be able to sustain after paying taxes, covering housing expenses, paying for alimony and child support, and making all other off-the-top expenditures. Differences in what each spouse will get to spend is not the only criterion for reaching a fair divorce. But it is a critical criterion. So are differences in how hard and long each spouse will work and the quality of each spouse's housing arrangements. Analyze My Divorce Settlement can't say what's fair. But it can provide neutral and definitive answers to critical financial questions, including who will get to spend what, that divorcing couples might otherwise contest. Analyze My Divorce Settlement is unique. There is no other divorce or financial planning tool that can get to your financial bottom line -- what each spouse will be able to spend on a sustainable basis. The program incorporates all key financial elements in meticulous detail, including wages, self employment earnings, the division of assets (regular and retirement accounts), housing arrangements, the provision of alimony and child support, federal income and payroll taxes, state income taxes, Social Security retirement, divorcee, and child benefits, Medicare's Part B premium, housing, special expenses (like college tuition), and special receipts. Negotiating a divorce settlement agreement is extremely stressful. You and your spouse are making decisions that will affect you for the rest of your lives. And the number of factors you need to consider, including all those I just listed, is mind boggling. Don't guess at how you'll be treated. Use our neutral, powerful tool to quickly and inexpensively reach a fair divorce settlement.